There is more to good dental health than just brushing twice a day and maintaining a healthy diet. Despite their best efforts, some of our patients still make these mistakes every day which is putting their oral health at risk! Are you guilty of making the following mistakes? Yes, there is such a thing! It is true that your tooth enamel is the hardest substance in your body. However, it’s also important to acknowledge that this doesn’t mean it cannot come to harm. Thoroughly brushing teeth is essential, but brushing better does not mean brushing harder. When you brush too hard, you can do more damage than good! We understand that space can be tight when it comes to storing your essentials in the bathroom, but we do strongly recommend keeping your toothbrush in the bathroom cabinet or as far away from the toilet as possible. 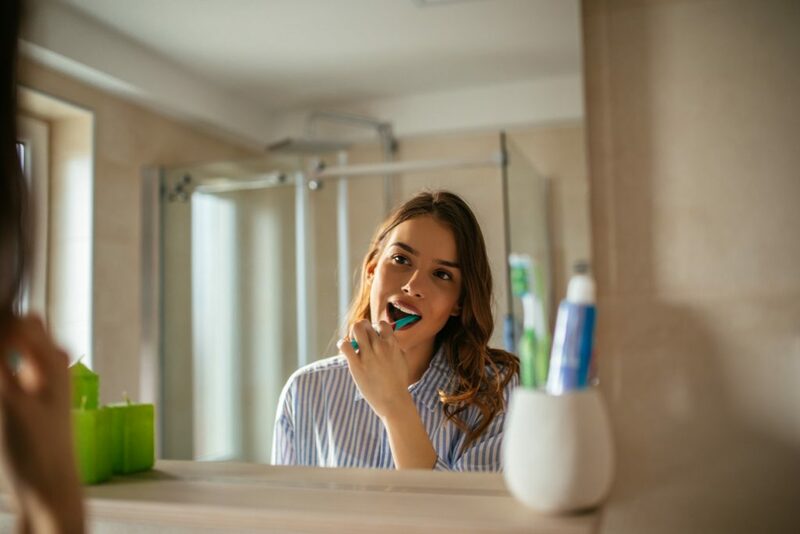 When you flush, it’s possible that particles from the spray could land directly on your toothbrush, inviting harmful bacteria into your mouth. Most toothpastes contain Fluoride, an ingredient which plays a major part in keeping those teeth strong and bright. Don’t waste the benefits of a Fluoride toothpaste by rinsing with water afterwards. If you must rinse with something, choose a Fluoride mouthwash instead! Brushing your teeth straight after eating or drinking something sugary/acidic is a no-go. When you eat food or drink drinks that are bad for your teeth, you weaken the tooth enamel. When brushing straight after, you could be brushing away bits of your enamel – weakening your teeth and increasing the risk of sensitivity and toothache. We recommend waiting around an hour after eating or drinking these foods and drinks and then brushing with a fluoride toothpaste. Want some more advice on how you can improve your oral health? Speak to one of our dentists! Call us on 0151 722 3000 to get yourself booked in.